This page was last time updated on October 10, 2013. 2013 ASCA Agility Finals in Veteran Division! Certik qualified in all 4 Agility Finals runs and placed in 10th place in Agility Finals. He was beat by a few seconds by younger and faster dogs. We are so proud of you my old friend!!! Certik qualified in all 3 Master B Rally trials winning High in Trial Rally dog and finished his Master Rally title. SPCH WTCH ATCH-II OTCH Certik-Bertik RTDcs UDX AKC/ASCA TD REX RS-E-SP JS-E-SP GS-E-SP MAD AA MJ MG AR AS EJC ERC EGC DNA-CP has become ASCA Hall of Fame Sire #287. Certik qualified in both Excellent B Rally trials winning High in Trial Rally dog in the morning and perfect 200 score (1st Place) in the afternoon. SPCH WTCH ATCH-II OTCH Certik-Bertik RTDcs UDX AKC/ASCA TD RA RS-E-SP JS-E-SP GS-E-SP MAD AA MJ MG AR AS EJC ERC EGC DNA-CP finished his Rally Advanced title and got his first leg in Excellent B class with score of 199 points and 1st place. Certik passed with flying colors his AKC Tracking Test (TD) held at the Kentucky Horse Park, Lexington, KY. Certik is one of the finest Tracking dogs I have ever seen. 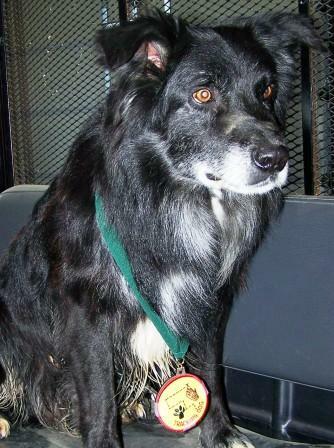 Certik was the oldest TD dog at the trial, but the fastest and the most efficient one. He found a glove at the end of 490 yard track in just 4 minutes!!! Certik was the only dog that qualified in all Elite Agility runs on Saturday, November 5, 2011 and was the only Elite dog tha was able to flawlessly finish tough Elite Gamble. HWASC Agility trial was held in Lafayette, IN. Certik did a wonderful job again at the Nationals and placed 3rd in the Most Versatile Aussie Competition. Due to injury, Certik had to be scratched this year from all Agility Pre-Trials, Agility Finals and some Obedience exercises. Certik had a nice National Advanced Cattle run with score of 112 and placed 5th in the Most Versatile Aussie Competition. Certik along with other 2 dogs and handlers qualified and place 2nd (out of 14 teams) at USDAA Agility Team Masters Tournament held on July 2, 2010 at Boone County Fairgrounds, IN. Certik is one of 10 top Aussies that received an invitation to compete at Obedience Superdog Finals at 2010 ASCA Nationals in Texas. Because Certik is ATCH, he is also automatically invited to compete at Agility Finals at the Nationals. Certik qualified in all classes he was entered (Master Gamblers, Master Snookers and Master Relay) at Pawsitive Partners USDAA Agility trial held on December 13, 2009 in Indianapolis, IN. Certik earned another hard-to-get Master Snookers Super Q leg in Master Snookers class and placed 1st in Master Gamblers during USDAA Agility trial held on October 17, 2009 in Fortville, IN. Certik qualified with 1st places in all Elite Agility runs he was entered at GOASC Agility trial in Dayton, OH on October 10 – 11, 2009. Certik was the only dog that was able to qualify in a tricky Elite Gamble with 1st place, of course. 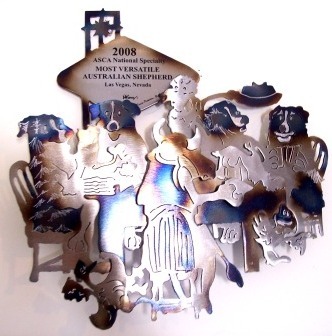 2009 ASCA National Specialty, Greeley, Colorado, September 26 - October 03, 2009.
was awarded the Most Versatile Aussie title for the fourth consecutive year (2006, 2007, 2008 & 2009). It was our best ASCA Nationals so far. Certik qualified with high scores in almost everything he was entered. Upper Midwest ASC Agility Pre-Trial: All qualifying Elite runs. High Plains ASC Obedience Pre-Trial: High Combined award for Open B and Utility B.
LOBO ASA of New Mexico Stock Pre-Trial: Advanced Ducks - 3rd Place (113 score). National Stock Trial: All qualifying Advanced runs (sheep, cattle, ducks) with scores between 100 - 112 points. National Agility Trial: All but one qualifying Elite runs. National Obedience Trial: Qualifying score from Open B and Utility B. This was the last double Q Certik needed to become UDX! National Rally Match: 98 points (out of 100). 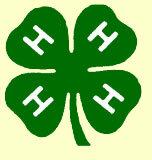 Certik qualified in his first mixed Farm trial held by HWASC in Muncie, IN on September 11, 2009. Certik earned his first Open Farm trial leg on sheep and ducks. (Photo: John Beals) Certik qualified in both Utility B and Open B classes with High Combined award both days of the ASCA Obedience trial held by HWASC in Winchester, IN on August 29-30, 2009. Certik earned 2 more legs towards UDX title. Certik qualified in Master Standard, Master Jumpers and Master Snooker class with 1st place and earned hard-to-get Super Q Master Snooker leg. The USDAA Agility trial was held on August 9, 2009 in Carmel, IN. Certik qualified and placed 1st in each and every Elite Agility class he competed in Dayton, OH. The ASCA Agility trial was held by GOASC on June 13-14, 2009. Certik has now more points than needed for his new title ATCH-OP. Certik, once again, run fast and clean and qualified in all USDAA Master Agility runs (Master Snooker, Gamblers, Standard and Jumpers) offered by K-9 Athletes at Lebanon, IN on April 18, 2009. Certik qualified in all 3 stockdog runs on March 14, 2009 held by GASC at Purina Farms, MO. He placed first in Advance sheep (also winning High in Trial sheep), first in Advance ducks (also winning High in Trial ducks) and second in Advance cattle (got beat by 1 point). Certik was also awarded High in Trial Aussie and High Combined Aussie. (Photo: John Beals) New Flash!!! on Sunday 8, 2009 during HWASC Obedience Trial in Elkhart, IN. Obedience Trial Champion (OTCH). Hip, hip, hurray! Qualified twice in Obedience Open B and once in Utility B on February 7, 2009 during GASC Obedience trial in Wenzville, MO. Certik earned over 10 points towards Obedience Championship and his 5th UDX leg. Now we need only 18 point towards OTCH and 5 double Qs from Open B and Utility B towards UDX title. was awarded the Most Versatile Aussie title for the third consecutive year (2006, 2007 & 2008). Turned heads again, as he was the only dog that qualified in all six Elite Agility runs (2 Elite Regular, 2 Elite Gamblers, 2 Elite Jumpers) during ASC of Michigan fall Agility & Obedience trial on October 25, 2008. Between fast and clean Elite runs he even qualified in both Utility B Obedience trials. Certik was the only dog that was able to successfully complete tricky Elite Gamble with 1st place, of course. Qualified in all Advance ducks and sheep runs during Honey Creek Classic on September 13-14, 2008 and put livestock in the center pen every time with grace and unforgettable style. Being an expert on ducks, Certik ended up earning the highest score of 117 points. Qualified in 3 Utility B and 2 Open B shows during HWASC Fall Obedience trial in Winchester, IN on August 23 & 24 and earned 2 more legs towards UDX title and 18 points towards OTCH title. Has received a couple of Merit Certificates from ASCA for placing 12th in Superdog Obedience and 13th in Utility Obedience in ASCA Obedience Merit program for 2007/2008 year. 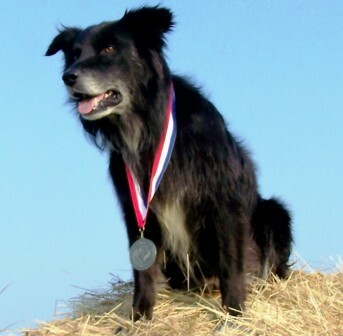 Certik has been invited to compete in 2008 Utility Obedience Finals and will compete in 2008 Agility Finals at the ASCA Nationals in Las Vegas, Nevada. Had all clean agility runs (jumping 26'') during USDAA agility trial in Lebanon, IN on April 19 and 20, 2008 and moved to Master Level in Standard Agility, Gamblers and Jumpers. Had 10 out of 10 clean elite runs during BASC agility trial in Cleveland, Ohio on February 3-4, 2007, but did not Q in 2 Gamblers Elite runs (out of 4) as he was 0.4 seconds and 0.5 seconds overtime, nevertheless we got one step closer to ATCH. Nice job Certik, but we need to run faster next time. Had 10 out of 10 clean elite runs during BASC agility trial in Cleveland, Ohio on March 3-4, 2007, but did not Q in one Jumpers Elite run as he was a few seconds overtime, nevertheless we got even closer to ATCH. Great job Certik, but we need to run even faster next time. Was awarded High combined Aussie and High combined Non-WTCH Aussie on Saturday and the same on Sunday and then he was awarded High combined weekend Aussie during GASC Stockdog trial on March 10 & 11, 2007 at Purina Farms, MO. He finished his ATDcd and PCH title that weekend. Way to go Certik! 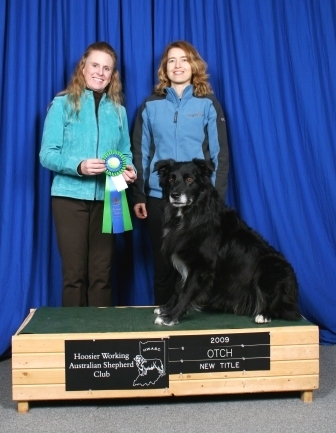 Was awarded HIT Aussie on Saturday and Sunday, High combined Aussie on Saturday and Sunday and then he was awarded High combined weekend Aussie during HWASC Stockdog trial on April 14 & 15, 2007 at Promise Land Farm, IN. He finished his ATDs title and WTCH title that weekend. Certik placed 1st in Advance Sheep (113 score), Cattle and Ducks on Saturday. He placed 1st in Advance Ducks on Sunday with 116 ½ score, 2nd in Advance Sheep & 3rd in Advance Cattle. I could not ask anything more from you Certik! We are very proud of you. Qualified with scores over 100 in all (6 trials) but one Advance Stock runs during Kentucky ASC stockdog trial on April 29, 2007 in KY. He placed first in Advance Cattle and had a very nice Advance Duck run with score of 119 points. Finished his UD title in Obedience during HWASC Daisy Classic in May 2007 and became SPCH. We had great and fast agility runs, too. I was racing him to speed him up. It worked, but he cheated on A-frame and missed contacts a couple of times. We Q in 5 out of 8 Elite runs though with 1st and 2nd places. You ran like a Devil, Certik! 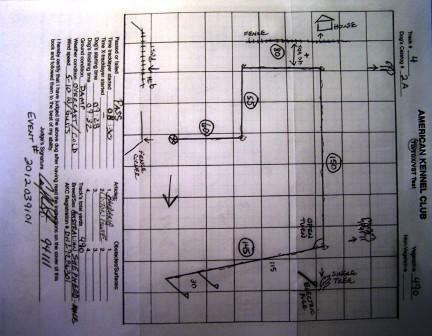 Had 8 out of 9 clean elite agility runs during BASC agility trial in Washingtonville, Ohio on May 12-13, 2007. It was a race between me and Certik. We had loads of fun and Certik became ATCH. You are my Devil, Certik! 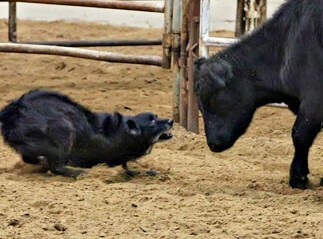 Qualified and placed in all Advance Stock runs during SEMASA stockdog trial on May 26, 2007 in Michigan with all scores over 100. Certik had a very nice Advance cattle run with score of 114 points and very nice Advance sheep run with score of 115 points. Certik is now 2007 Agility Finals and Stockdog Finals qualifier in ducks, sheep and cattle. Placed 1st in Advance Ducks (166 points), 3rd in Advance sheep (161 points) and 6th in Advance cattle (137 points) in ASCA Stockdog Merit program for 2006/2007 year. Qualified with 1st places in both Utility Obedience shows during HWASC trial in Winchester on August 25, 2007. He qualified with 1st place in Open B trial and was awarded High Combined Aussie for his excellent Obedience performance. Certik earned his first 27 points towards 100 that is needed to become OTCH. All in one day! 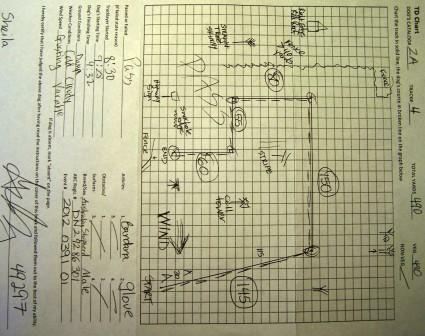 Had 5 out of 5 clean, fast and qualifying Elite agility runs during GOASC agility trial in Dayton, OH on Sept.8, 2007. He placed 1st in both Elite Gamblers, 1st in Elite Jumpers, 1st in Regular Agility 1 and 2nd in Regular Agility 2. Qualified in Ranch Cattle and Sheep trial during Whiskey Creek Ranch Trial on Sept.10, 2007 in Missouri. Certik handled pasture work, penning and sorting like a pro. Qualified in all (6) Advance Stock runs during SEMASA stockdog trial in MI on Sept.15, 2007 with mostly 2nd and 3rd places. was awarded the Most Versatile Aussie title for the second consecutive year (2006 & 2007). Was awarded Most Promising Started Aussie on Saturday & Sunday (March 11 & 12, 2006) during GASC Stockdog trial at Purina Farms, Missouri. He qualified in all six Started runs over that weekend and won Most Promising Weekend Aussie award and a custom-made silver belt buckle. He started and finished his STDscd title. Qualified in all Started (sheep, cattle, ducks) runs and was awarded Most Promising Started Aussie during HWASC Stockdog trial in Indiana on April 1, 2006. Earned TD title during Mid-America ASC Tracking trial held near Kingdom City, Missouri on April 2, 2006. He found the article (glove) in less than 5 minutes. Finished his OTDscd title during BGASC stockdog trial in Kentucky on October 28 & 29, 2006 and earned one Advance cattle and Advance duck leg that weekend.